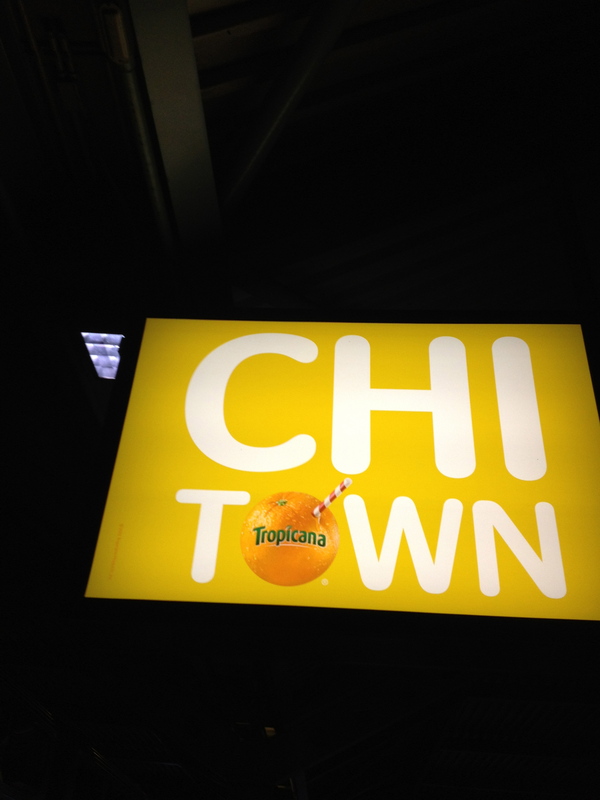 Posted by Dan Gershenson in Brand Critique, You Put That Ad Where? Excellent! I posted similar entry last night about this very topic. 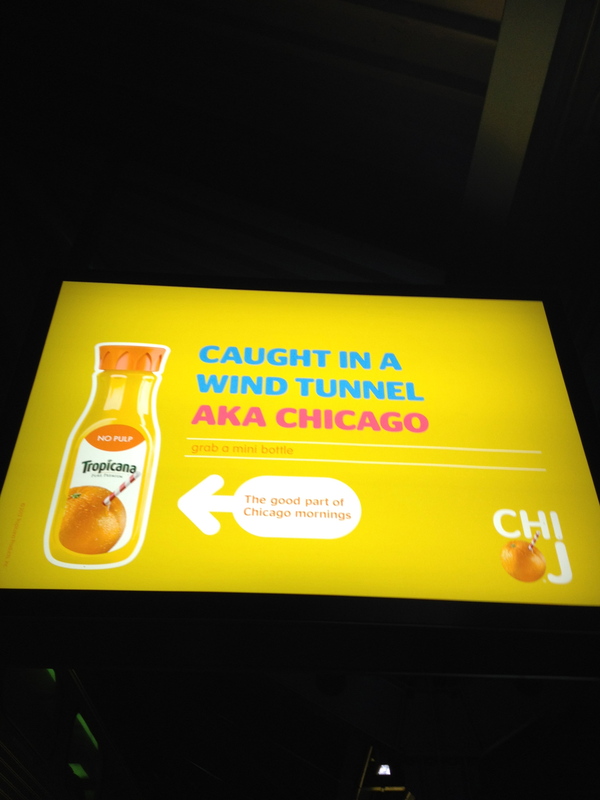 I agree that perhaps the everyday commuter need not be beaten over the head with these ads everywhere they turn in Union/Ogilvie; but I must admit, they’re memorable. 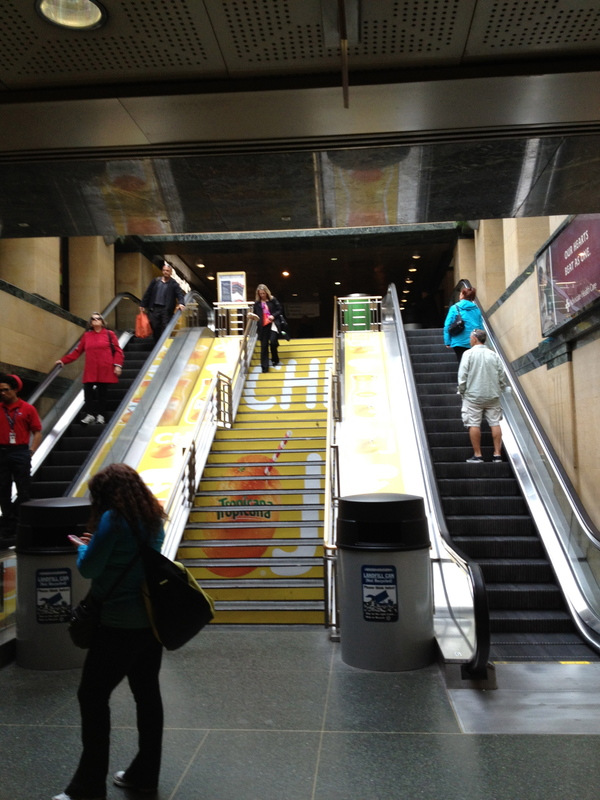 While overwhelming and an increasingly annoying part of the scenery, I found myself hunting for more copy in the station just to see how many unique ads I could find. Then again, I shouldn’t really count myself. 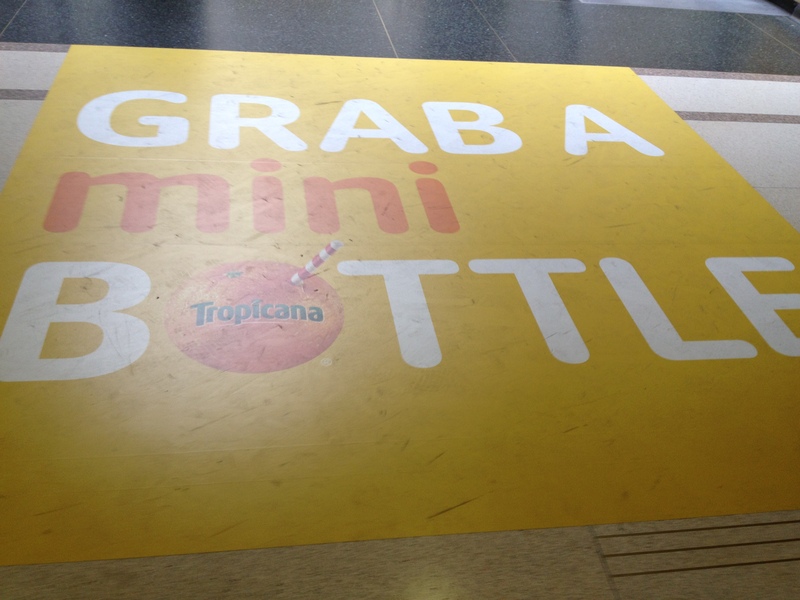 If you’re hunting for more copy in the station, I’m sure Tropicana will certainly enjoy hearing that. The branding person in me enjoys the creativity, actually. But again, we always have to do a self-check as marketers so we aren’t TOO close to it and lose perspective. We have to ask, “Do we need to absolutely dominate in order to get our message across and be effective?” Of course we love the sound and sight of that. 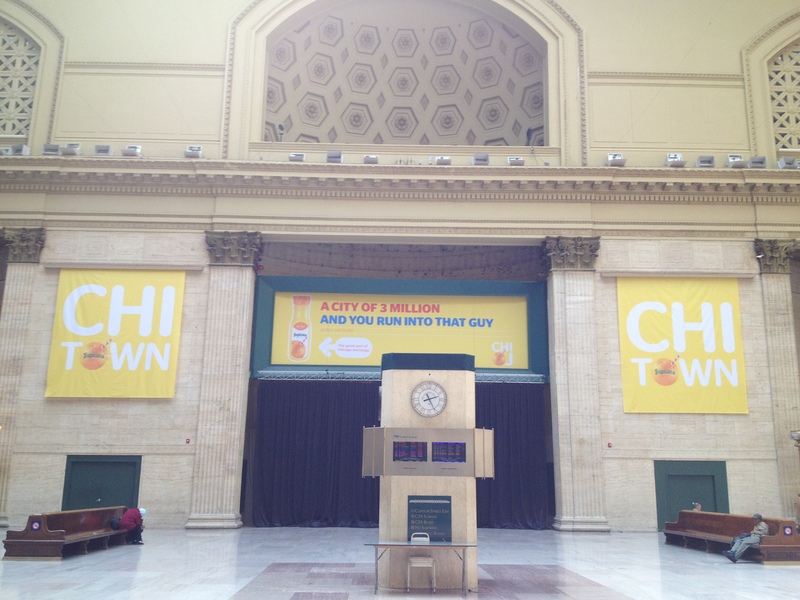 What could be better than seeing our own stuff all over an iconic piece of Chicago architecture? I get it. I’ve been there. But I also knew I wasn’t doing ads for my own admiration but for theirs. What about the masses who pass through that station? Will they love it just as much? If most of them truly have your reaction and it converts into product purchase (because this would be way too much to merely be for awareness), then it’s a feather in their cap and more power to them.